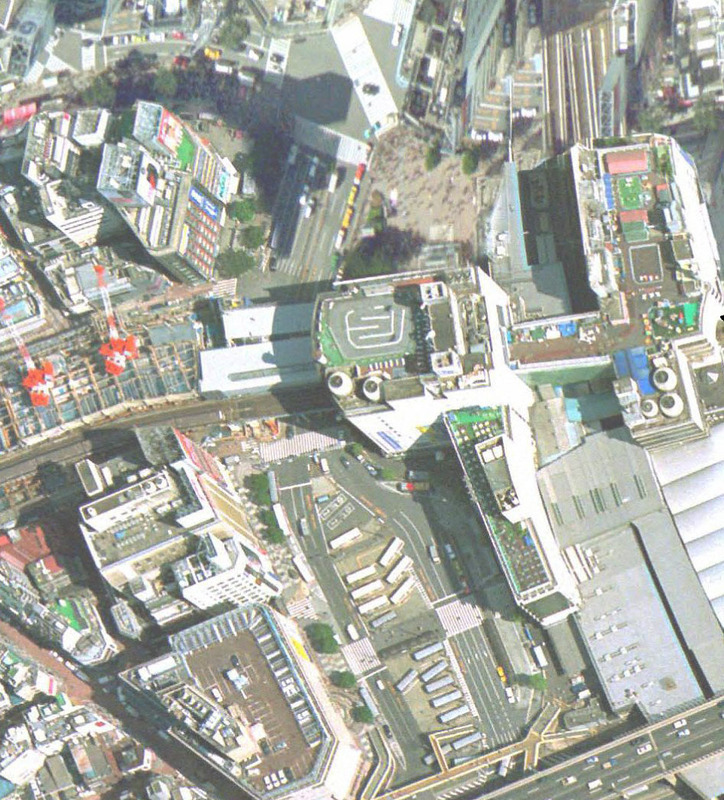 Best Google Earth Image update EVER! Meanwhile (reminding me a lot of New York’s 77 Water Street Biplane), an ‘Electronics school’ has parked a small plane on their roof. Google Earth Forum member DJJackD visited the plane (which is held down with ropes – presumably to stop someone flying off in it ;-)), but didn’t manage to find out its origin… Can anyone out there fill in the blanks? Thanks to Max and DJJackD & Lrae of the GEC. 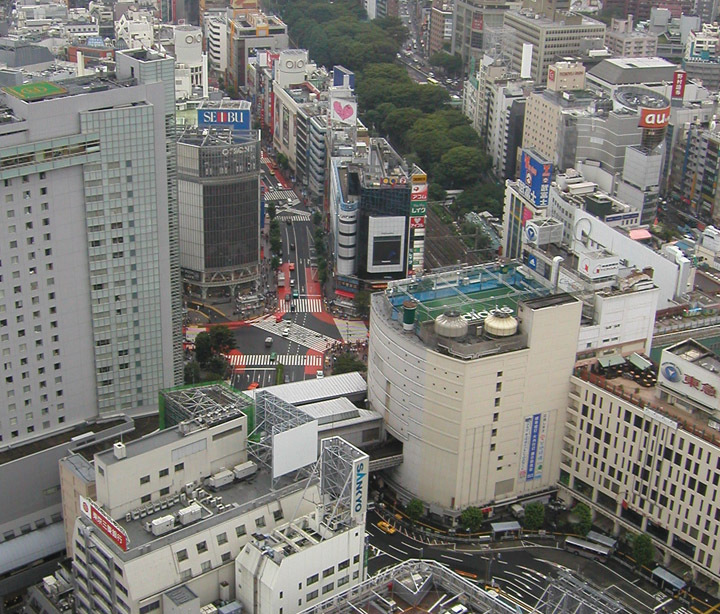 Shibuya crossing was featured in Fast & Furious 3. I don’t remember seeing the soccer field though.